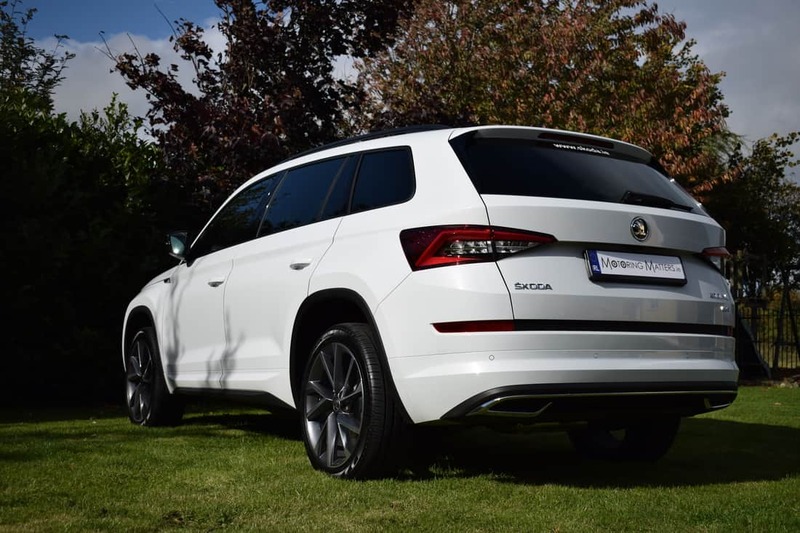 Škoda Kodiaq –Stylish, Spacious & Sporty. Škoda’s new Kodiaq has been a huge sales success for the Czech car manufacturing giant (part of the VW Group) since its launch last year. 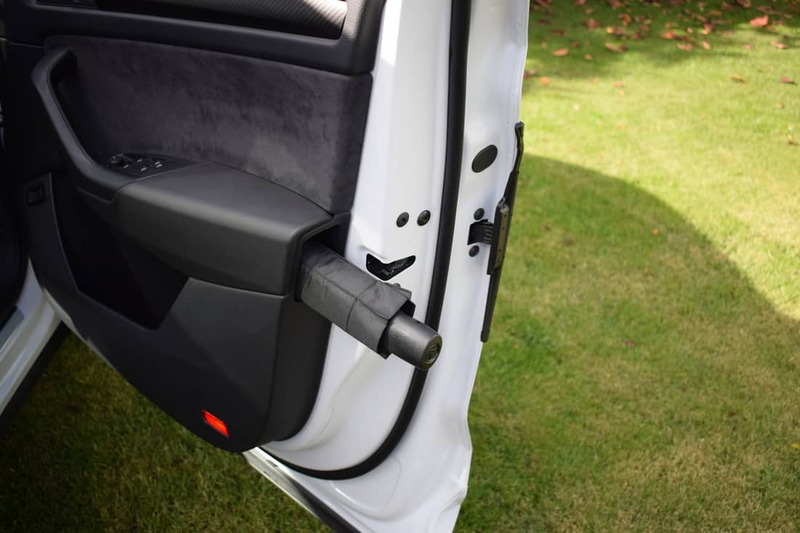 For anyone looking for a large family SUV that’s well built, comfortable, practical, good to drive, is relatively cheap to run and easy to live with, the new Kodiaq may just be all that you need. 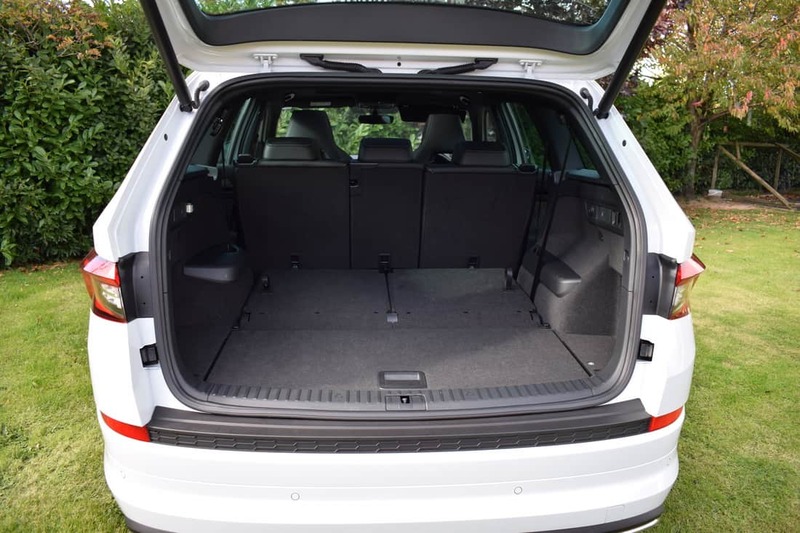 The Kodiaq is available with five spacious seats or as a seven seater with a pair of fold-flat seats in the boot – ideal for the growing family. Even with all seven seats up you get a 270-litre boot that’s big enough for the weekly shop. 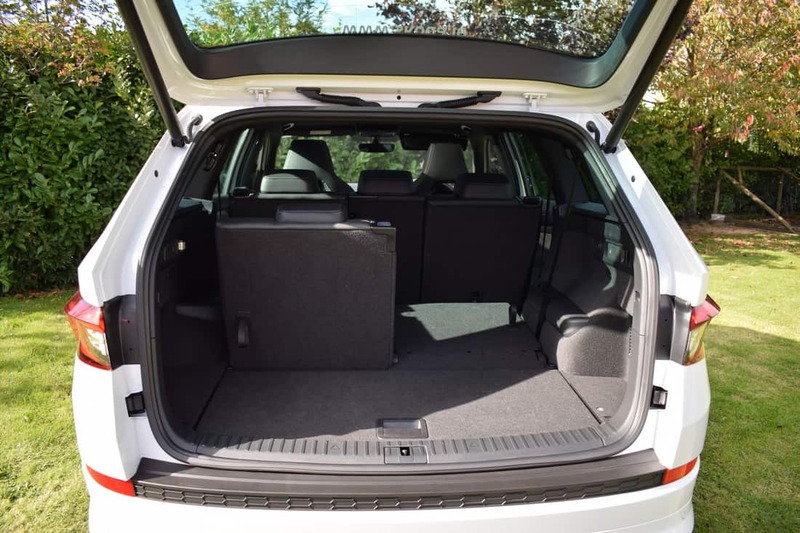 When the third row is folded, the capacity increases to 720-litres and with all the rear seats folded away you get a massive 2,065-litre load bay. Škoda offers a wide range of trim levels and a variety of powerful and smooth petrol and diesel engines. 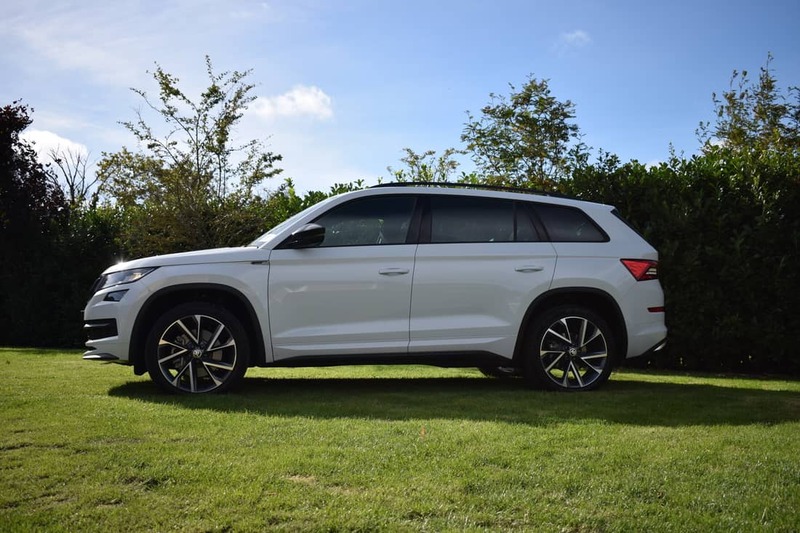 Initially available in 3 trim levels – Active, Ambition and Style, the Kodiaq has now been joined by a range-topping, sport-orientated ‘SportLine’ specification to cater for the growing demand for large and practical SUV’s with sporty driving dynamics and performance-car looks. 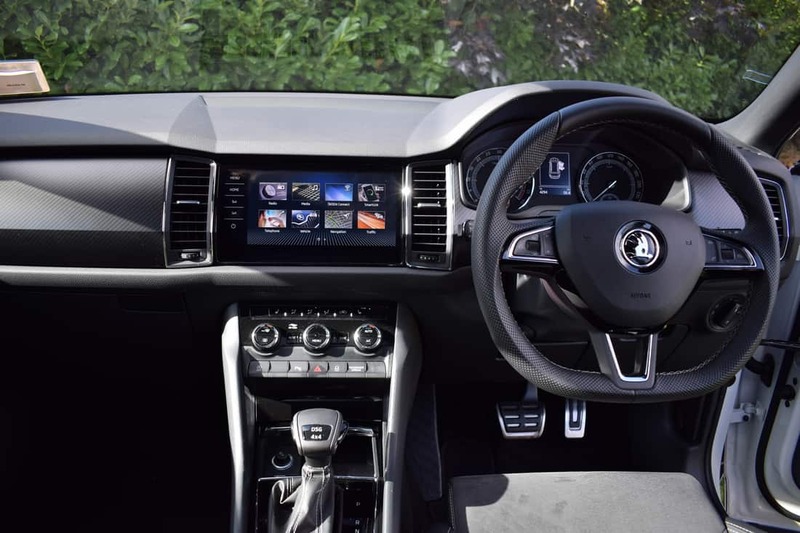 High levels of specification come as standard with even the entry level Active model getting 17” alloys, black roof-rails, forward collision warning, cruise control, hill start assist, front centre arm-rest, infotainment system with 8 speakers, Bluetooth, Smartlink smart-phone integration, air conditioning, multiple airbags, Škoda Connect and E-Call (private emergency call system). Engine options include a 1.5-litre TSI (petrol) with 150bhp mated to a DSG six-speed automatic gearbox or Škoda’s wonderful DSG 7-speed automatic transmission. 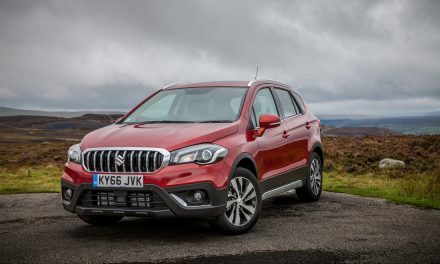 Diesel power comes from a 2.0-litre TDI with 150bhp and a 7-speed DSG automatic gearbox in 2WD guise, while a six-speed manual is only available in 4WD. Additionally a 2.0-litre with 150bhp, or 190bhp, is available with the DSG (7-speed) gearbox and 4WD. 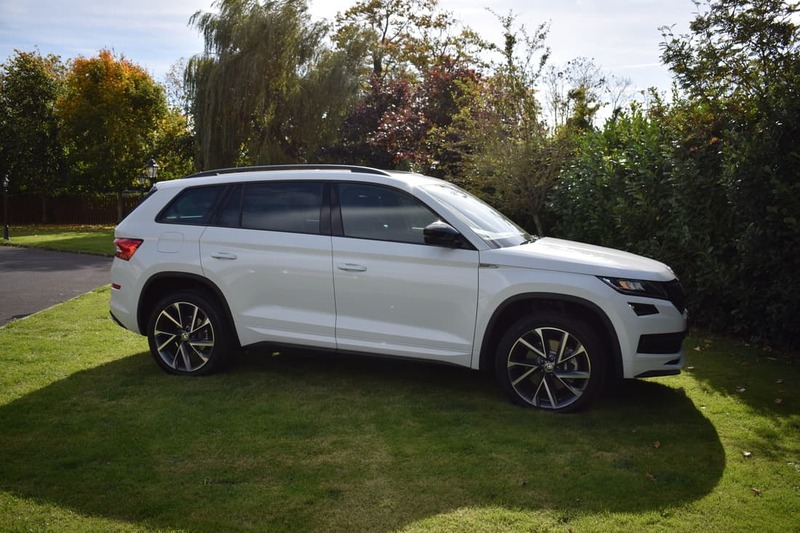 Our test car was a Kodiaq SportLine 7-Seat, 2.0-litre TDi 190bhp DSG (7-speed automatic) with 4-wheel-drive. Finished in stunning ‘Moon White’ metallic paint with contrasting black wheel arch mouldings, exterior door mirrors, roof rails and front grille, the car looked magnificent from every angle. Standard specification included front and rear sport bumpers, full LED front headlamps with Adaptive Frontlight System, interior ambient lighting with 10 colour selections, black alcantara sports seats with part leather trim, a drive mode selector, sliding panoramic sunroof, rear privacy glass, front and rear parking sensors, stainless steel pedals, electric driver’s seat with memory function and electric lumbar support, along with many more comfort, convenience and safety features for the ultimate in driving satisfaction. 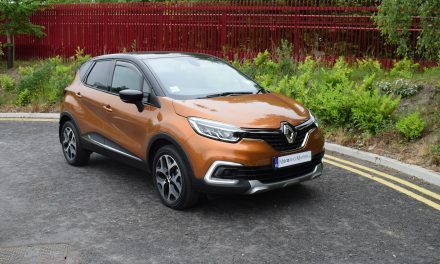 Optional extras fitted to my test car included 20” Vega alloy wheels, heated front seats, electric tailgate, keyless entry & start, rear view camera and a connectivity pack incorporating a 9.2” touchscreen with Columbus Satellite Navigation, DAB radio and a wireless charger. Škoda have built up a reputation of being the manufacturer of ‘Simply Clever’ cars and, with this in mind, useful standard features also included umbrella’s built in to the front doors, a storage drawer under the front passenger seat, retractable front & rear door protectors, boot hooks and a detachable luggage compartment light. The Kodiaq offers excellent driving dynamics. The steering is accurate, the suspension is well adjusted and the automatic gearbox operates smoothly. Even though it’s a large and practical SUV, it’s fun to drive, too. A potential towing capacity of 2,500Kg’s (depending on the model chosen) puts it ahead of its rivals in the SUV class. 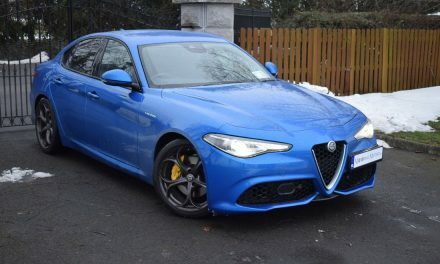 Producing 190bhp and 400Nm of torque, the engine in the test car provided excellent acceleration, and can complete the 0-100km/h sprint in just 8.9-seconds. 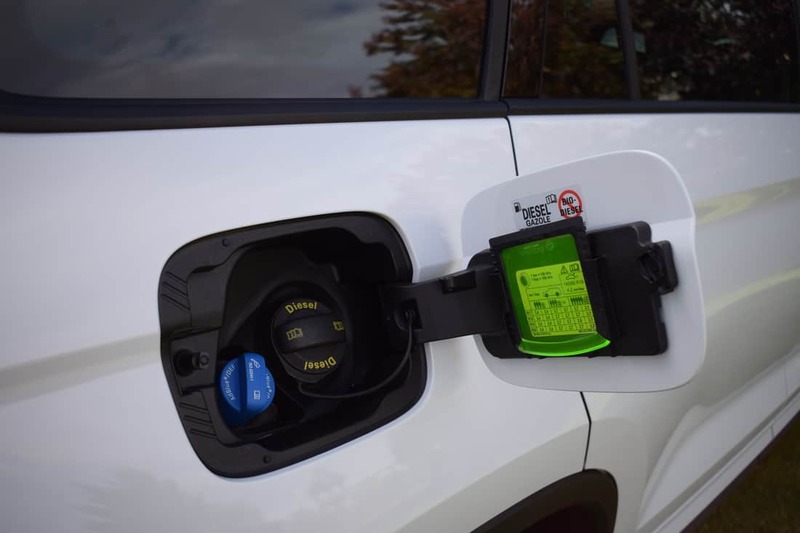 Fuel consumption across the Kodiaq model range is impressive, with as little as 5.7-litres/100km being consumed on a combined driving cycle from the 2.0-litre TDI engine (190bhp with DSG). 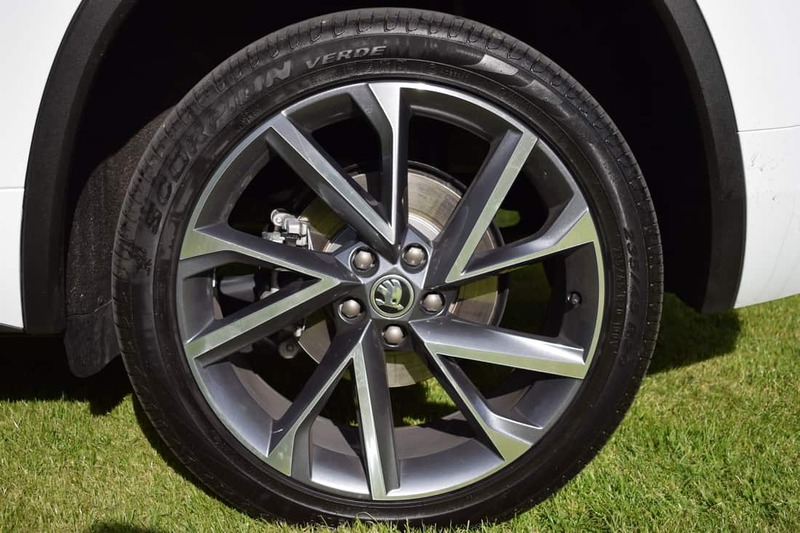 Škoda’s all-wheel-drive system is controlled electronically and delivers a big increase in traction, stability and driving safety, on and off-road. 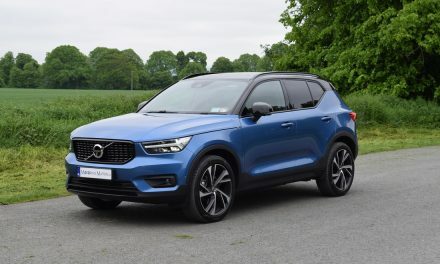 In recent Euro NCAP crash tests, the Kodiaq received a five-star rating thanks to the impressive protection it offers adult and child occupants, with extra credit awarded for the standard automatic emergency braking system. 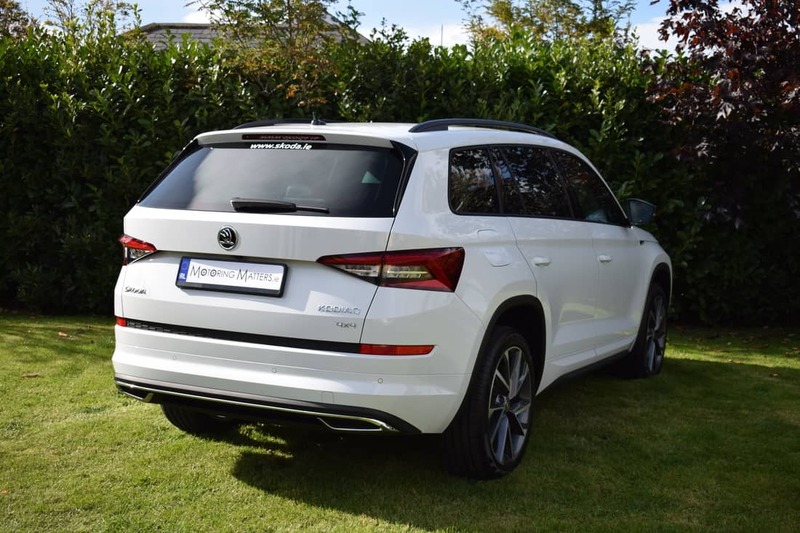 This reinforces the big Škoda’s positon as a top-value, family-friendly SUV. 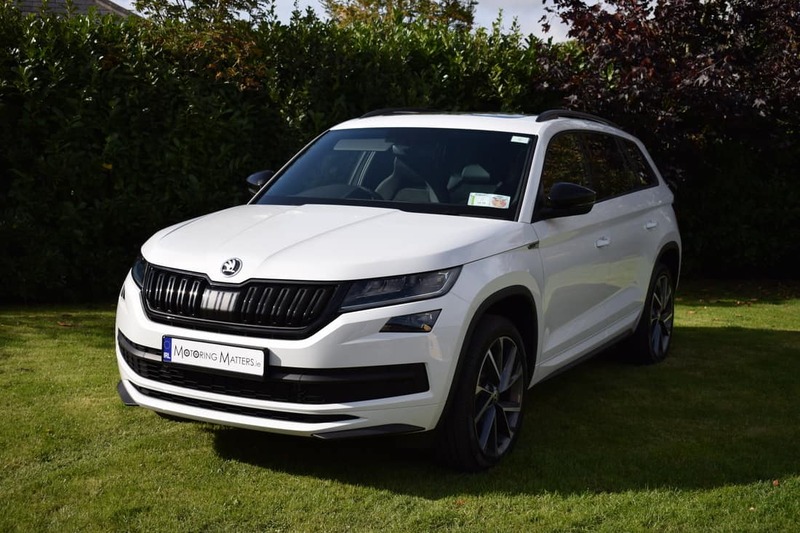 Ex-works prices for the new Škoda Kodiaq start from just €30.950 for the 1.5TSI 150bhp Active 5-seat model, while the SportLine model I drove is priced from €49,075.